As an affirmed cave-dweller, I typically leave for writing conferences with about thirty percent happy anticipation topped by seventy percent unfiltered terror. 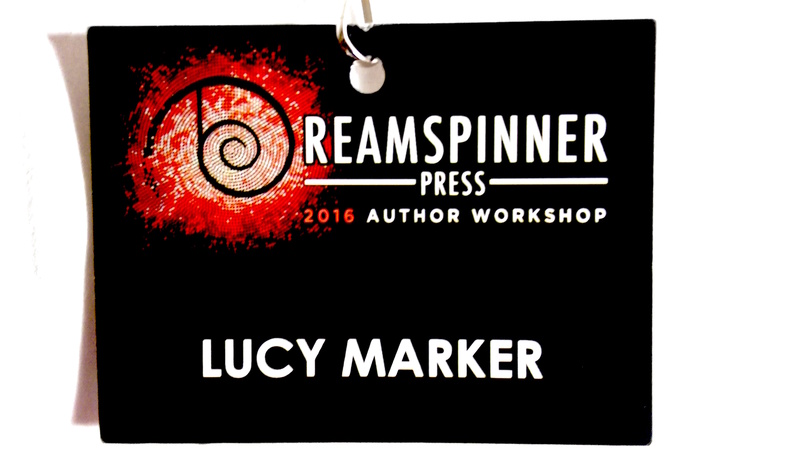 In this mode, I made my way from California to Florida for the Dreamspinner Press Author’s Workshop in early March. The happiness/terror percentage immediately reversed. In the soft Orlando air, a dazzling group of professionals welcomed, educated, and entertained me. We were united in our love of fiction that celebrates the freedom of sexual identity in all its forms. Dining with authors whose books crowd my e-reader, I was a little star struck. (Okay, a lot. I impressed myself by speaking intelligible English.) At one of the meals, B.G. Thomas asked what had inspired me to write gay romance. I stumbled through an explanation that included the sheer fun of the genre, but even to myself, I’d never been able to articulate a complete answer to that question. Later that evening, Librarian Kate and I discussed the reasons we love gay romance. Without minimizing the tragedy of any type of gay oppression, we agreed that in some ways women have been thrown into a similar box: we’re rejected for how we’re made. Throughout millennia, women have been marginalized—and worse—for how the cells in our bodies are formed. Good fiction pulls us into a character’s point of view, and that character’s triumphs provide a vicarious thrill. Gay romance offers a unique type of liberation. The partners aren’t locked into traditional roles of female disempowerment versus male power. Various difficulties have taught me only those who share my exact life experiences can fully grasp my point of view. I can’t know what it’s like to be another person, but this limitation only adds to my desire to enjoy fictional relationships and stretch my understanding. Throughout the workshop weekend, an impressive array of experts expanded my awareness with their insights and knowledge. Elizabeth North gifted us with her astute perspective on the industry. Multi-published authors focused narrowly on specific building blocks for characterization, plotting, and marketing. As a disgruntled technophobe, I was particularly pleased with detailed suggestions for working with social media. At the conclusion of this authorial feast, we enjoyed a tasty dessert: an FBI agent fed our bloodthirsty appetites with a forensics lecture, sprinkled with fascinating tidbits. The workshop’s biggest impact came from those who generously shared their self-acceptance. I gained a measure of serenity from people who’ve staked their claim to celebrate their appearance, sexual identity, and pleasure in publishing gay romance. They’re flourishing beyond the parameters of a rigid little box. Our rainbow romance genre is wonderful. Having traveled from coast to coast, I found myself at home.